We’d love your help. Let us know what’s wrong with this preview of Pride and Platypus by Vera Nazarian. "When the moon is full over Regency England, all the gentlemen are subject to its curse. Mr. Darcy, however, harbors a Dreadful Secret..."
To ask other readers questions about Pride and Platypus, please sign up. To see fully illustrated review, please visit my blog by following this link. For some reason, some of the pictures I tried to add would not work here. Trigger Warnings: Demons beasts! Giant, murderous DUCKS!! And a truly horrible creature called a platypus. My Thoughts: Like Northanger Abbey and Angels and Demons (my review here where formatting allowed), this is a del To see fully illustrated review, please visit my blog by following this link. For some reason, some of the pictures I tried to add would not work here. There is a bit of a problem with typos littering the book. I saw “tired” for “tried,” “game” for “gave, “wrecked” ‘for “wreaked”, and “bread” for “bred” among others. Most of them I skipped right over, but the “bread/bred” one was particularly ironic, since it was talking about how the Brighton Duck was “bread” for ferocity and monstrousness or some-such. That one made me laugh quite a lot, as I thought to myself, “I daresay she means ‘bred’, for whilst a duck might eat ‘bread’, they are nonetheless ‘bred’ from one generation to the next.” Then I laughed some more at how I’d unconsciously picked up the wording style of the book. I laughed again later in remembrance when Mr. Collins began his ridiculous rants about crossbreeding Australian fauna with British. The dueling-editors thing was something that wasn’t quite pulled off to full effect, in this reader’s humble opinion. There were some moments of true hilarity, it is true, but some of them felt forced. I think the ones where the editors are basically just talking to each other could have been excised and that would have felt better to me. I certainly wouldn’t recommend skipping them, because some of them are pure comedy gold, such as footnote 62 regarding the nature of a preservative, but if it annoys you to flip back and forth, even using an e-reader, then maybe save some of them for the end? Another instance in which I feel the ball was dropped was the spoken language of the various characters. Overall it was very good, but there was the profligate use of “got” and “get” within the speech patterns that I cannot help but believe was not at all common among the people of the time. At the risk of making an already-long review ever longer, I wanted to comment in general about how the world has changed in 200 years! Consider in Regency England a tan was considered “coarse,” yet today we are considered “sickly looking” if we are too pale. Not to mention how the use of the language has changed (deteriorated in my own opinion) from the gracious gentility of the time. Again in my opinion, reverting somewhat to a more lovely use of the language, rather than the hurried and ugly version we use today, would do nothing but improve the world overall. Overall, I really enjoyed this book a lot. Any flaws were minor and easily overlooked for the most part. Again there were a few drawings scattered through the book, showcasing this author’s many talents. I believe Nazarian did the spirit of Jane Austen justice in this satire, with love and laughter, so fans of Jane Austen’s work ought to enjoy this. Fan of cross-genre mock-ups and satires will also want to be certain to read this wonderful story. Highly recommended! Disclosure: I picked up a copy of this book from Amazon during a free promotion because I so enjoyed the book Northanger Abbey and Angels and Demons. No review has been requested. All opinions are my own. Synopsis: "When the moon is full over Regency England, all the gentlemen are subject to its curse. Okay, I need to stop laughing and 'ahhing'. This was such a funny and cute take on Jane Austen's Pride & Prejudice. It mooshes 'tongue firmly in cheek' paranormal with the original Pride & Prejudice writing. I'm not going to bother summarizing the story because it pretty much follows the P&P storyline faithfully with just the insertion of the male Affliction. More about that in a moment. I'm just going to highlight the paranormal element which was cute and creative in its way. This P& Okay, I need to stop laughing and 'ahhing'. This was such a funny and cute take on Jane Austen's Pride & Prejudice. It mooshes 'tongue firmly in cheek' paranormal with the original Pride & Prejudice writing. I'm not going to bother summarizing the story because it pretty much follows the P&P storyline faithfully with just the insertion of the male Affliction. More about that in a moment. I'm just going to highlight the paranormal element which was cute and creative in its way. This P&P story retelling assumes that all the men are cursed with an Affliction where at puberty they start changing into a demon animal during the nights of the full moon or when under extreme duress. The male's animal is usually determined by heredity and the type of animal influences class status to a certain extent. There is a whole cultural thing with it where ladies admire a gentleman's cage and locks for his cage and his animal as much as they do his human trappings of birth, status and income. There is a stigma attached to not turning into a noble beast as opposed to a lesser creature. Oh, and the male's personality is influenced by his beast particularly when it is near the full moon time. With all that in mind, it was fun to learn what each male character's beast was. Mr. Bennet was an indolent lion, Bingley was a pacing tiger, Wickham was a wolf, Mr. Collins- well lets just say it was hilarious when it was revealed. Darcy's beast is revealed fairly early on too, but it is his biggest secret. I'm going to leave that little surprise for you too. I need to add that there are hilarious and sometimes annoying footnote comments throughout and also there are sprinkled between the story pages cute sketches done by the author. The backcover is also an interest because of the hilarious recommendations. What a hoot! I bought this expecting it to be utterly ridiculous. I figured I would get some MST3k/rifftrax style amusement out of it. I was pleasantly surprised to find out that it was not at all what I expected. It was actually quite an enjoyable read, so much so that I had trouble stopping so that I could get some sleep. There were plenty of parts where I was laughing so loudly that I woke my husband up. Vera Nazarian seamlessly weaves her ideas into the narrative, making them fit with little trouble. Littl I bought this expecting it to be utterly ridiculous. I figured I would get some MST3k/rifftrax style amusement out of it. I was pleasantly surprised to find out that it was not at all what I expected. Vera Nazarian seamlessly weaves her ideas into the narrative, making them fit with little trouble. Little details like regimental cages and affliction steak make it work. My only real complaint is the sexist inherent in the way the affliction is treated as a plot device, particularly the reasoning behind why men have it, and women don't. It's a small enough issue though, given that it is based off of a story that was set and written in a time when sexism was a way of life. Oh. There was one area in which I was not disappointed with a lack of terribleness. The footnotes were utterly ridiculous, but in an entirely amusing way. I found, contrary to another reviewer's opinion, that they were not really in the way all that much. You can tap the number to read a note, then tap the number again to return to where you were in the story, so it's not like you have to search to find your place again. On of the most absurd and entertaining stories I've read, either JAFF or non JAFF. If you need some levity and laughs, this is the book for you. Over the years I've read very few Jane Austen's retelling and I was let down by most of them; it's hard to add something new to such widely known and appreciated works without ruining their very essence. Therefore I usually prefer to avoid disappointment by not reading them. In this case I made an exception because, having read other Vera Nazarian's works I was pleasantly impressed by her wonderful writing skills which allow her to keep pace with her wild imagination, I had something to look forward to and perhaps it was because this was a parody and not a serious retelling, but it really worked for me! The general storyline is most faithful to the original work and knowing it by heart there were no real surprises there, but the added parts, the masterfully flowing way in which they were added so that the reader doesn't really perceive any difference in style and writing, the absurdity of their content made me laugh more than once. It might not suit everyone's tastes, but it suited mine more than well and it made an awesome Christmas present to myself. I was very wary starting this book because I thought it would be a lot like Pride and Prejudice and Zombies, which I wasn't a fan of. I was pleasantly surprised with how entertaining this story was with the supernatural elements. Vera Nazarian supplements Jane Austen's prose with the additions and modifications to incorporate this new element (all men turn into mammals at the full moon). I found that part dragged a bit. Since I am already familiar with Austen, I would have rather read it exclusi I was very wary starting this book because I thought it would be a lot like Pride and Prejudice and Zombies, which I wasn't a fan of. I was pleasantly surprised with how entertaining this story was with the supernatural elements. Vera Nazarian supplements Jane Austen's prose with the additions and modifications to incorporate this new element (all men turn into mammals at the full moon). I found that part dragged a bit. Since I am already familiar with Austen, I would have rather read it exclusively in Nazarian's own words. There were a couple of wonderings I had about the Curse of Affliction, and how it can affect women, but I won't spoil the story here. Aw, Mr Darcy turns into a platypus! This book was so funny. I loved it! It's a fun read, and the shapeshifting/werecreatures are amusing. My main issue with the book (which I also had with Mansfield Park and Mummies, and which I'd likely have with other authors' takes on Austen Novel plus Supernatural Elements) is that the supernatural elements really ought to change the story more than they actually do. Of course the people writing these stories are trying to keep close to the originals, but I'd love to read something by an author who lets the worldbuilding actually It's a fun read, and the shapeshifting/werecreatures are amusing. My main issue with the book (which I also had with Mansfield Park and Mummies, and which I'd likely have with other authors' takes on Austen Novel plus Supernatural Elements) is that the supernatural elements really ought to change the story more than they actually do. Of course the people writing these stories are trying to keep close to the originals, but I'd love to read something by an author who lets the worldbuilding actually affect the plot and characters. Hilarious. I had to be in the right mood to read it but it really made me laugh out loud many times. (I kept having to explain to my husband what I found so funny though, and that never went well. Try explaining this book without people looking at you VERY strangely.) The writing style blends perfectly with the Austen bits we know and love. My eReader (Kobo) did have a few issues with the footnotes, which were a little bit of a hassle and alternated between completely unnecessary and delightfull Hilarious. I had to be in the right mood to read it but it really made me laugh out loud many times. (I kept having to explain to my husband what I found so funny though, and that never went well. Try explaining this book without people looking at you VERY strangely.) The writing style blends perfectly with the Austen bits we know and love. My eReader (Kobo) did have a few issues with the footnotes, which were a little bit of a hassle and alternated between completely unnecessary and delightfully amusing. I do feel I was missing a little bit of an inside joke with the duck though. You must allow me to tell you how ardently I admire and love this silly book. The bestial absurdity, mingled with the timeless tale of wonderful Elizabeth Bennet and dreamy Fitzwilliam Darcy, is absolutely delightful. I thought the heavy tongue and cheek humor would get old quickly, but I was rather surprised to be whisked along with the familiar story and whimsical twist. Pride and Prejudice, but all the men turn into various animals every full moon. A little slow to get started, but overall, retains the charm of Pride and Prejudice, while making me laugh (sometimes out loud) at the additions. Such a lot of fun! Muchly superior to the Pride and Prejudice and Zombies ilk, which is a one-joke thing, and should be a short story. Loving the Brighton Duck, in particular,and Mr Hurst's affliction. Quite a bit of Austen's original prose here, with some very charming and fantastical twists. Very Awesome Book so i give a Four stars!!!! Apparently I'm a total Austen junky when even fan fiction and Darcy turning into a platypus makes me all swoony. Very entertaining, and excellent continuity from Northanger Abbey and Angels and Dragons! I liked this Pride and Prejudice reimaging. I read the original a few years ago, but it appears that 2019 is a year of reading (and watching) Jane Austen's works and alternative versions of them for me. This is the second Pride and Prejudice reimaging that I've read this year. Despite this book being over 500 pages, I finished it rather quickly. Half of it is probably because it was Jane Austen and the other half was that the parts that Nazarain added were funny and kept my interest. I know this I liked this Pride and Prejudice reimaging. I read the original a few years ago, but it appears that 2019 is a year of reading (and watching) Jane Austen's works and alternative versions of them for me. This is the second Pride and Prejudice reimaging that I've read this year. Despite this book being over 500 pages, I finished it rather quickly. Half of it is probably because it was Jane Austen and the other half was that the parts that Nazarain added were funny and kept my interest. I know this can seem gimmicky. I was never into the Vampires and Werewolves like most girls my age were. I was a high school freshman when the Twilight craze hit hard. But this is much better than Twilight! Again, this is based on the original Austen text so that's probably a large portion of why. Also though, Mr. Darcy as a were-platypus is hilarious and kind of adorable. 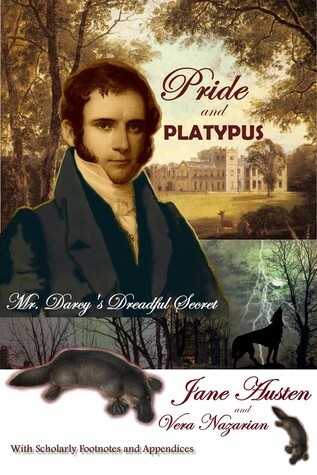 Pride and Platypus is essentially the same story as Jane Austen's Classic but with all the male characters afflicted with a lunar curse that turns them into animals at every full moon. Not everyone has the same animal either. Mr. Bennett is a Lion, for example. There are also panthers, wolves, tigers, bears, dogs, swans, and a platypus in the cast. Mr. Collins' animal is entirely appropriate but I'm not going to say what he is. For some reason there is a demon duck that randomly appears and attacks people, though I'm not sure really why it was in the story. I thought that Wickham was the duck, initially, but that didn't end up being the case. So it was a comedic element and caused more strife to Lizzie and the other characters, when the main drama about who was marrying who wasn't enough. The women are not typically afflicted with the lunar curse and there was a reason for this (which I'm not saying again to keep from spoiling the end). I mean, if you know Pride and Prejudice, you already know the ending, really but there are supernatural elements to this story that weren't in the original book, thus a few new twists to the original plotlines. I started reading this way back in 2012, but I just sort of got stuck. I kept intending to get back to it, but it never quite happened. Finally I decided I really wanted to get a bunch of stuff off my plate that had been hanging fire far too long, so I pushed through to the end. I think it's just that the humor isn't a good match for my funny bone. I loved Mansfield Park and Mummies for its wit, but the business of lycanthropy afflicting England's upper crust is just a little too broad of humor f I started reading this way back in 2012, but I just sort of got stuck. I kept intending to get back to it, but it never quite happened. Finally I decided I really wanted to get a bunch of stuff off my plate that had been hanging fire far too long, so I pushed through to the end. I think it's just that the humor isn't a good match for my funny bone. I loved Mansfield Park and Mummies for its wit, but the business of lycanthropy afflicting England's upper crust is just a little too broad of humor for my taste. Lord what a waste of my money! This was such a disappointment! If I want to reread Pride and Prejudice I could have! Seeing as I own the book! I just wasted my time and money! Not happy at all! I thought it was a comical retelling of a classic story. As long as going into it with an open mind and not expecting it to be the original it's fun. Exactly like Pride and Prejudice except that all gentlemen turn into beasts on the full moon. The addition of this fantasical element does not make the original story any more charming. 99% written by Austen, with a few interjections or minor changes by Nazarian. Five stars for the original Pride & Prejudice. Three stars for the additions. They were funny, but overall the concept seemed a little inconsistent & confusing. The author did mimic Jane Austen's writing style fairly well. Witty,inane, clever, laugh out loud funny. I thoroughly enjoyed this book and will purchase more books by this author. My first review. I just couldn't pass up the chance to say how much I loved it. Oh gosh!! 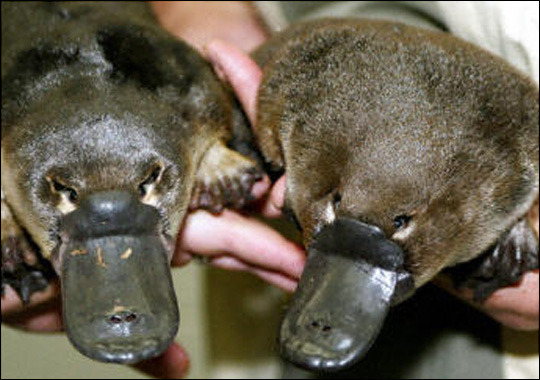 Platypus!!!! Please help me.....I'm dying from laughing so hard. Mr. Darcy and Platypus?! Never think of this before....must read again. Damn it, imagination. No wonder it was free! She immigrated to the USA from the former USSR as a kid, sold her first story at the age of 17, and since then has published numerous works in anthologies and magazine Vera Nazarian is a two-time Nebula Award Finalist, award-winning artist, and member of Science Fiction and Fantasy Writers of America, a writer with a penchant for moral fables and stories of intense wonder, true love, and intricacy. She is the author of critically acclaimed novels Dreams of the Compass Rose and Lords of Rainbow , romantic Renaissance epic fantasy trilogy Cobweb Bride , as well as the outrageous parodies Mansfield Park and Mummies and Northanger Abbey and Angels and Dragons , and most recently, Pride and Platypus: Mr. Darcy's Dreadful Secret in her humorous and surprisingly romantic Supernatural Jane Austen Series .